Join us in action on August 11! 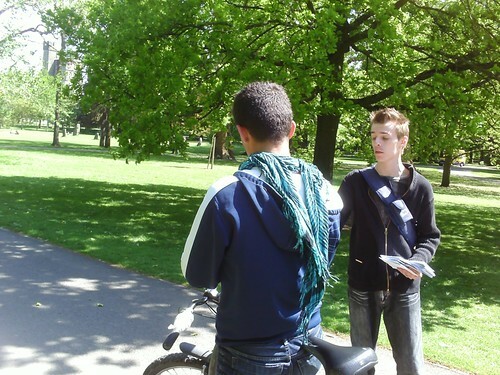 Eleventh of the Month street outreach in Wellington, New Zealand. July 10, 2010 Wellington civil information actions for 9/11 truth and justice took place this month at Cuba Mall in Wellington's shopping district on a busy Saturday afternoon. After a week of southerly storms, the weather turned out to be just fine, sunny and no wind. 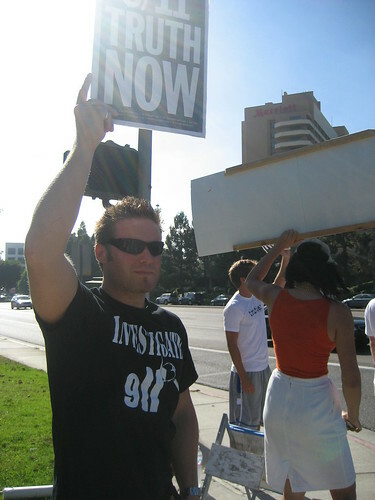 This was one of our most successful actions yet with 6 of us giving away hundreds of Blue Print for Truth 2008 DVDs and flyers. We were there from 1.00 - 3.00 pm. We all had lots of interesting conversations and on the whole people were receptive and open to learning more about 9/11 and the scientific evidence. We were helped by Mike's wonderful banner and posters which we were able to display to great advantage and our ae911truth banner. 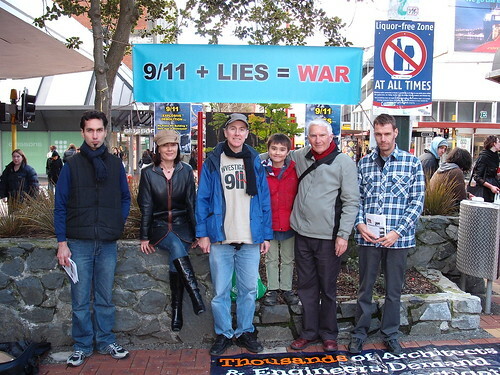 Quite a few people commented that they had already received a DVD from us so we felt heartened by our previous work (we have been doing truth action in Wellington every month for over 2 years now).There seems to be a good awareness of 9/11 truth in Wellington NZ! 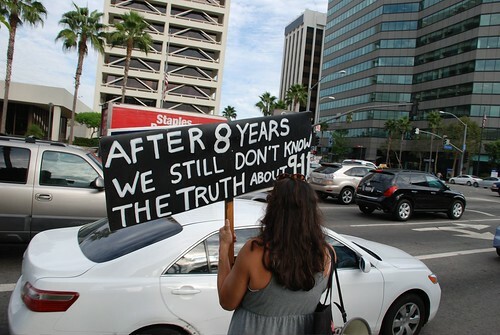 Thanks again to all who contributed and support truth action. Motivation to keep the Eleventh of Every Month campaign going strong.. We've done a lot and come a long way and some of our work is starting to pay off. Let's keep the momentum always going. Do what you can do. Actions from New York City, London, Sydney, San Jose, Berkeley, Oklahoma City, Cardiff, Zurich, Rapid City, Brisbane, Milwaukee, Copenhagen, Los Angeles and more... add yours! 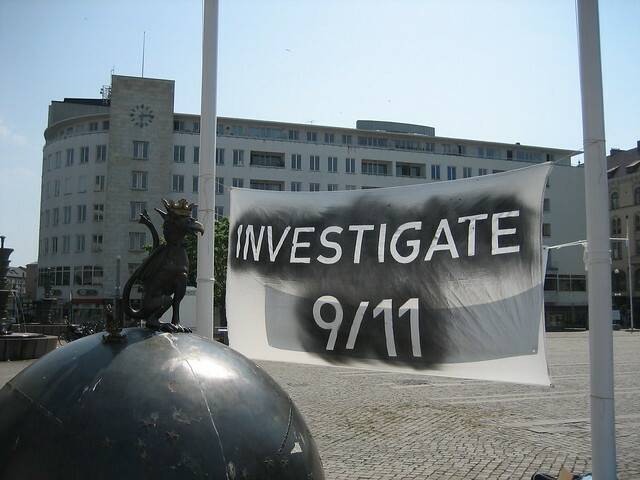 For those of you who don't usually do anything on the 11th - would you consider doing one small thing on this 11th to increase visibility for 9/11 truth? You could do it on the 9th or 10th or 12th if it makes it any easier. Every action counts and even a small action can help create great change. Putting up just ONE informational poster in a prominent place in your community could potentially affect hundreds or even thousands of people. You never know who you'll wake up! 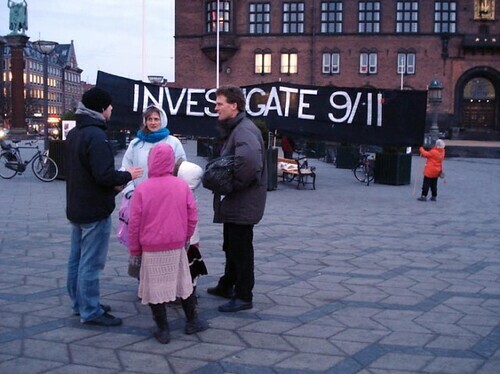 Is there any good reason for you not to join the good people from Chicago to Copenhagen who will be taking action for 9/11 truth on the Eleventh of May? 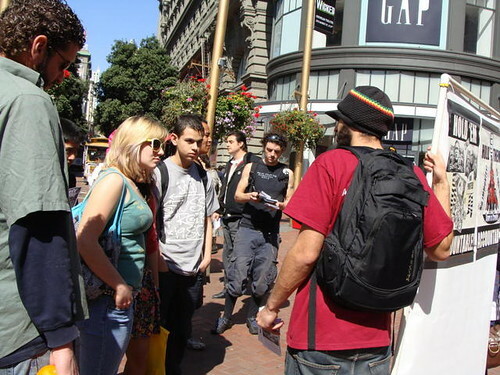 Twelve dedicated activists made it out to the action in downtown San Francisco this March 11. 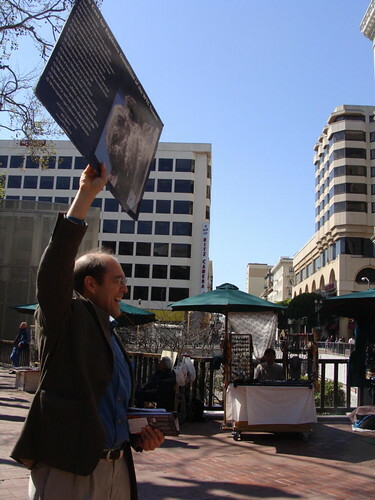 We were delighted and inspired to have Richard Gage, AIA (founder of Architects and Engineers for 9/11 Truth) join us on the streets to enlighten the passers-by. We have a courageous professor of chemistry from the University who lectures about WTC7 so this time we've been out with flyers spreading the word. 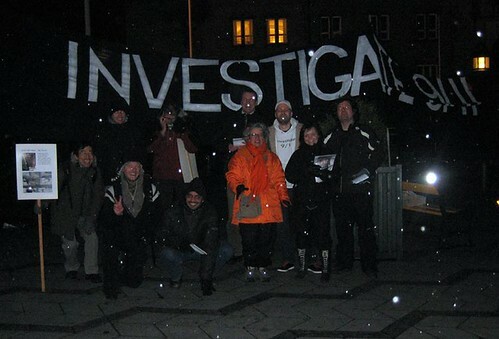 Our group on http://i11time.dk (where people demand a REAL investigation and stand forth with a photograph of themselves and their name) is growing day by day!